Not only is this craft simple, it is super quick to make and cost effective, as it requires very little materials. I usually collect a bag full of pine cones in the Fall when we go for walks because I love having them for Christmas decorations or to make things like bird feeders. If you live somewhere where they are not easily found outdoors, you can usually find some at your local craft store. I have to give credit to one of my piano students, as it was at her house that I saw these cute owls. Take a cotton ball and pull it out lengthwise. Try not to break it apart. 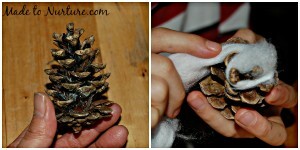 Take your pinecone and wrap the cotton around it. I like to start from the top, but it really doesn’t matter if you start from the top or bottom. 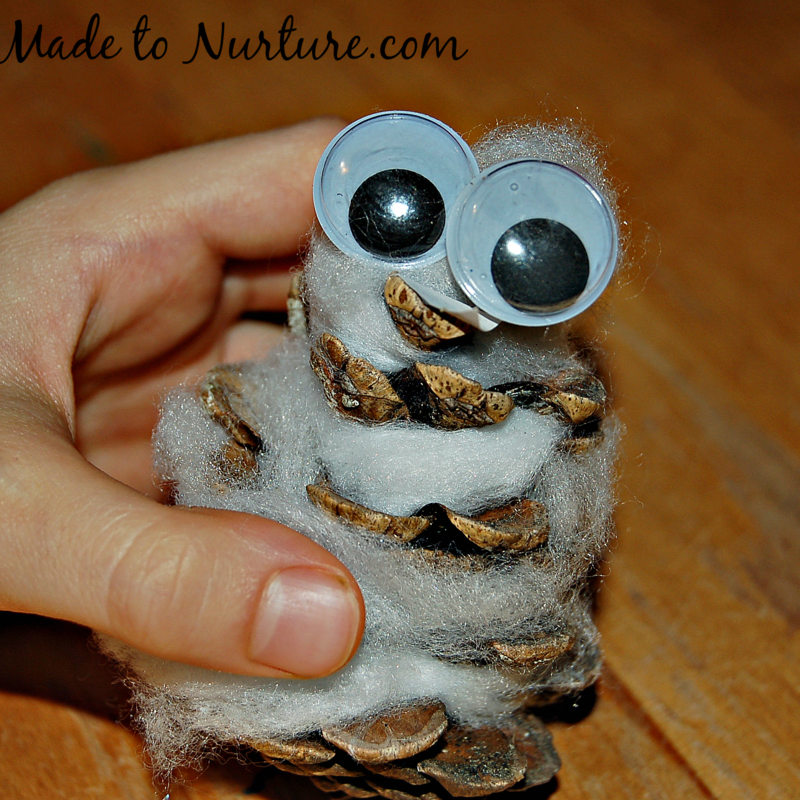 Once the cotton has filled all the spaces of the pinecone, add some googly eyes and a beak. Voilà! 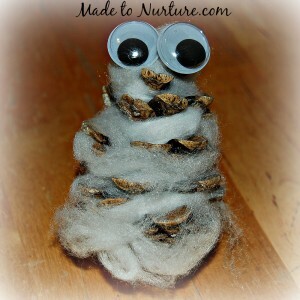 You have a cute, snowy owl to put on your mantle or hang in the window (to hang, just tie a piece of thread or string to the top of the pinecone). If you want to get extra creative, find a branch to glue your owl to, and then glue the branch to a canvas (I’d use a hot glue gun). Cute and simple to make! Nice and simple for the wee ones! So cute. My son would love this craft.